Pantech Pursuit II is a low end phone released in July 2011, coming with a small 2.8-inches display and a 2 mega-pixels back camera. Though the Pantech Pursuit II is as big as 3.98 inches long and 2.4" wide, it only holds a smaller 2.8" display. This cellphone is a little thick compared to today's phones, being as thick as 0.59 inches. In this case, Pantech forgot about optimizing the weight, putting together a 4.48 oz cellphone. 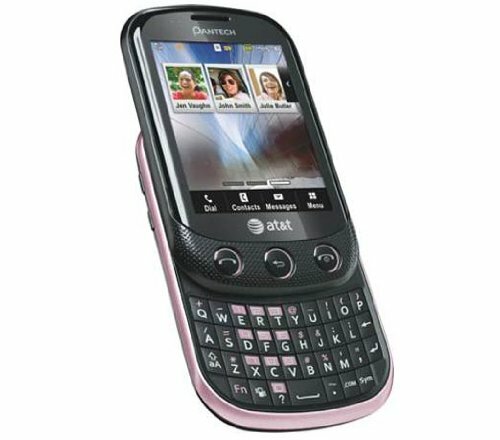 Pantech made the Pantech Pursuit II in 2 colors: pink and green. The Pantech Pursuit II includes a good level 320 x 240 (QVGA) 2.8" display, giving this device a good graphic quality. This device comes with a 222,21 MB internal memory, a little amount that may be adequate for basic users having that this cellphone also has an SD memory slot to store songs, pictures and videos. This phone is only equipped with a 2 megapixels back-facing camera. This cellphone has a mediocre 1000 mAh Li-Ion battery, and whereas it may seem very poor, this cellphone is not very consuming so it has a surprisingly long battery life. Pantech afirms this phone has a stand by time of 250 hours and a talk time of 3 hs. This phone is really overvalued considering it is priced $ 200, while other similar phones cost much less than that.